« What Makes Jesus Angry? 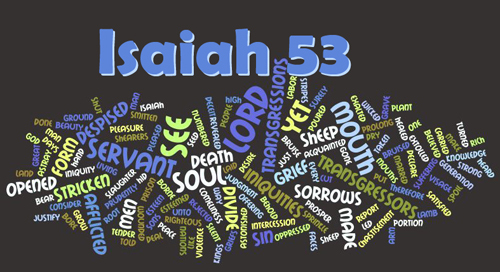 One of the greatest and most beautiful passages in Isaiah’s vision is chapter 53. Written 800 years before Christ was born, Isaiah describes both the intense physical and emotional anguish of the Suffering Servant, who willingly offered his life as atonement for our sin. Surely, he is the Lamb of God who was slain and who takes away the sin of the world. He is the Beautiful Exchange who gives us life and healing for our sin and brokenness. He is the noble one who suffered and died so that we would not have to. There’s a reason why Messiah Jesus suffered such “travail”: to see you and me set free. In this very poignant verse, we are marked as the love of his soul. Jesus saw us, went into our darkness, faced suffering and death, and rescued us. He saw us safe and saved. And that vision of us – forever out of the clutches of sin, death and darkness – was enough to satisfy him before he breathed his last. Why Christ is the Lover of my soul is beyond me. I’m not worthy of anything except the punishment of my sin. But what makes holy week so holy to me is because Jesus is the Lover of my soul. And for some strange and mysterious reason, I am the “travail” of his.